The issue of plastic waste spilling out into the sea has been frequently taken up in the news. This issue is also specified in goal number 14 of the 2030 Agenda for Sustainable Development (SDGs), reducing marine waste and preventing marine pollution is a global challenge. In our life, plastic products are currently being used in large quantities. Some of them are recycled, but plastics that have flowed out to the natural world are fragmented (microplastic) and there is concern about the impact on ecosystems such as accumulation in the body of fish and birds. 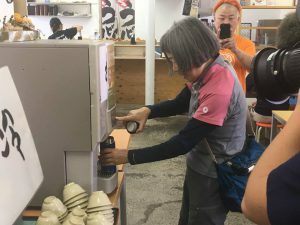 Now that initiatives to reduce plastic waste are starting to be studied in various places, the NPO corporation Archipelago in Kagawa Prefecture, is calling out to reduce plastic bottles for disposable drinks (beverage PET bottles), use My Bottle (water bottle). 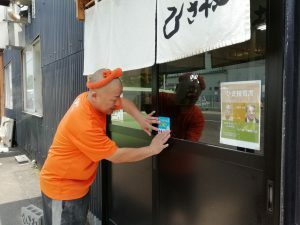 The first restaurant t that approved the initiative was a noodle shop in Takamatsu city. It seems that Archipelago is aiming to establish 200 supply stations within the year. It is hoped that efforts from Kagawa spread to the whole country and the world. 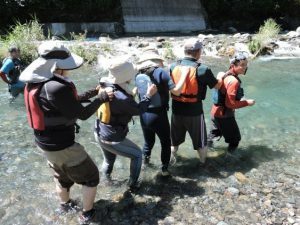 The Katsuura River Basin Field Course is a continuous course to learn the charm and challenges of nature in the field of Katsuura River flowing through Katsuura, Tokonoshima city, Tokushima city. The content of the course is a program that learns connection between nature and people’s lives and issues faced by the natural environment through researches and practitioners through discussion and field work. If it meets the necessary conditions, it will be certified as a biodiversity leader from Tokushima prefecture. Even in environments where nature is familiar like Shikoku, devastation of forests, biological habitats, reduction of species, etc. are not widely known. It is also an opportunity to know the imminent situation that you do not know just by watching from afar. This course is the fifth time in 2018, and many biodiversity leaders are being developed. 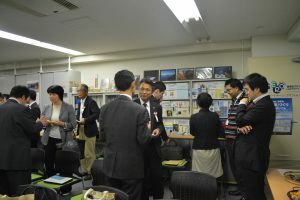 The biodiversity leader has organized the Takashima Biodiversity Leader Team to disseminate the importance and preservation of biodiversity in fields where each is good and serves as instructor and staff of field courses. In addition, it also leads to skill improvement of representatives of citizen groups and environmental groups who serve as lecturers. In this way, it was appreciated that human resource development mechanism and graduates of the course are active as a biodiversity leader, and we received the category excellence Award for Biodiversity Action Grand Prix 2017. In fiscal year 2018, lectures were also offered from April, and new leaders continued to grow. Is not there a hint on human resources development that is a problem in many organizations and hints for training successors?